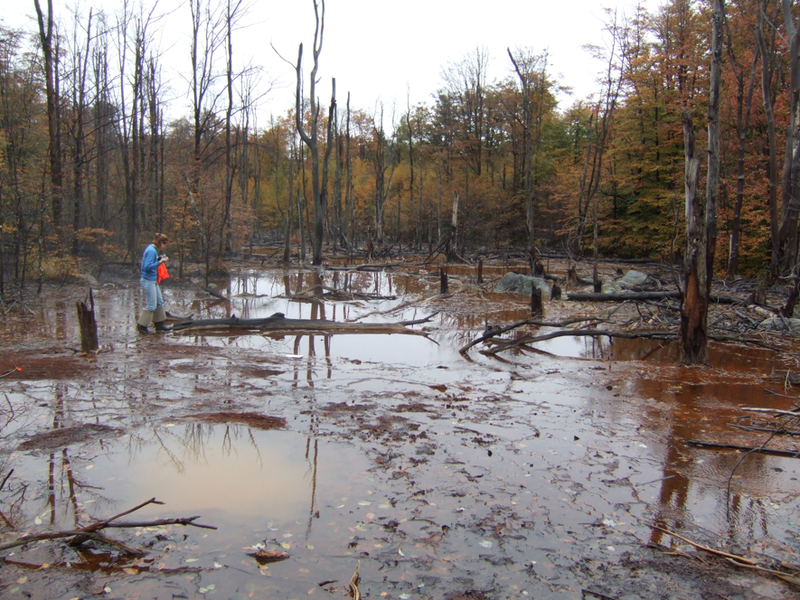 Acidic mine drainages are often characterized by steep gradients in pH and metal concentrations. Left: figures from a recent publication by Jones et al. 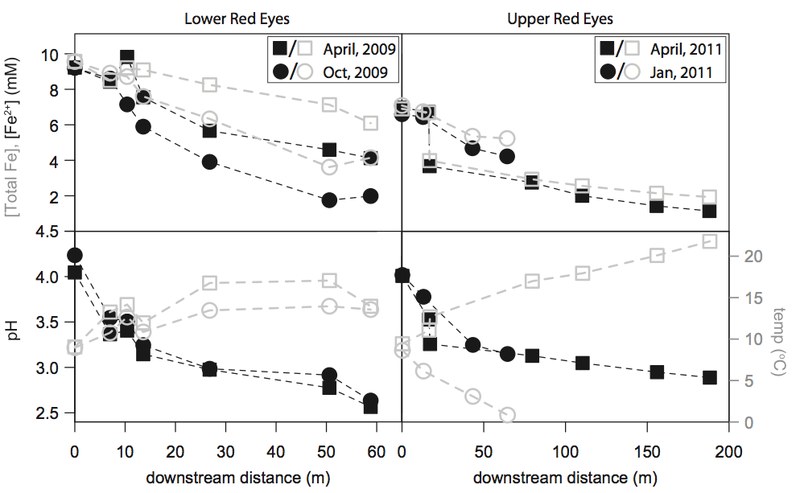 (2015) showing downstream changes in pH, dissolved oxygen, and iron at Lower and Upper Red Eyes, Somerset County, Pennsylvania. 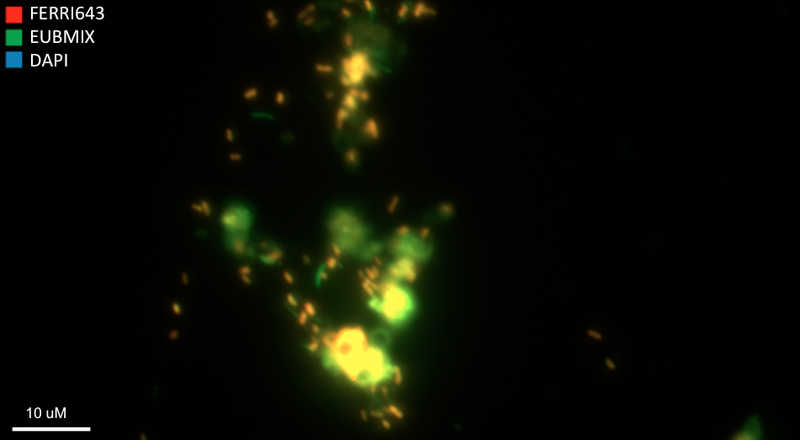 Green biofilms (left) composed of the Euglenid algae Euglena mutabilis and associated bacterial populations. 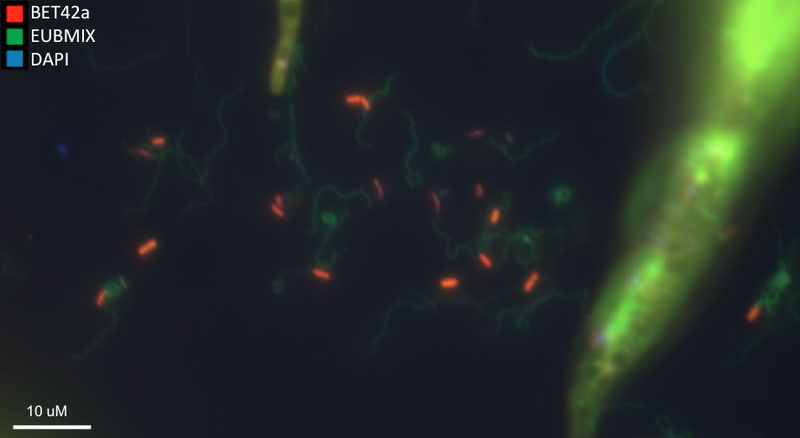 Spirochaete-like cells and Betaproteobacteria (FISH image, right) co-occur with Euglena mutabilis (large cells) at a site in Pennsylvania. 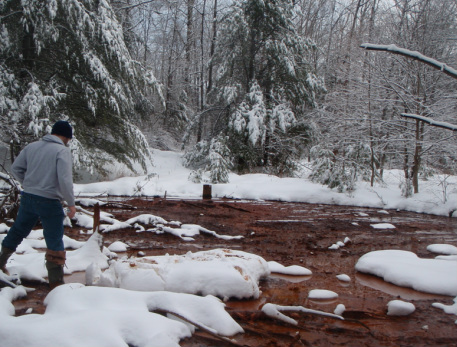 Acid mine drainage from abandoned coal mines is a severe environmental problem in Pennsylvania. 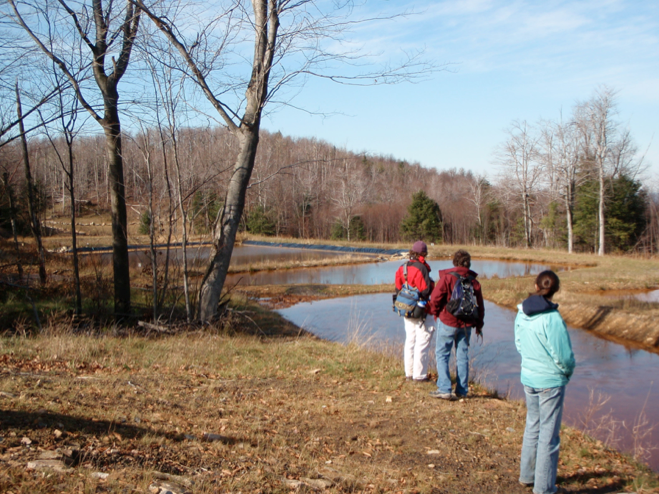 Passive treatment systems, such as the one pictured at the right from Blair County, PA, are often installed to treat the discharge. 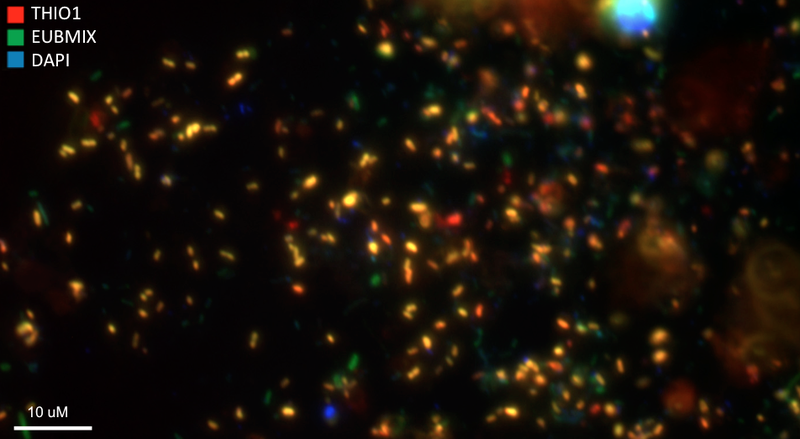 Acid-loving microorganisms, like those in the fluorescent photomicrographs above, can play an important role in acid mine drainage treatment. 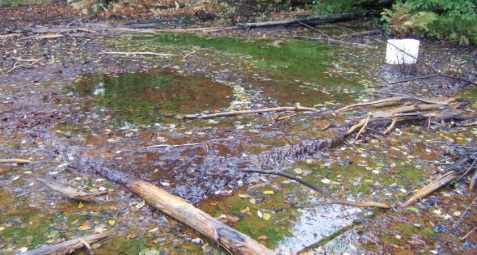 Microorganisms can oxidize and remove iron under acidic conditions, and this biological process of low pH iron oxidation is one possible solution for more cost effective and long-lived remediation technologies.